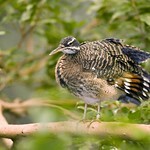 An intricately patterned bird, the sunbittern has a blue head with white strips above and below the eye. The bird's back features alternating black, white, blue and brown stripes, which help the bird blend into the forest habitats where it lives. 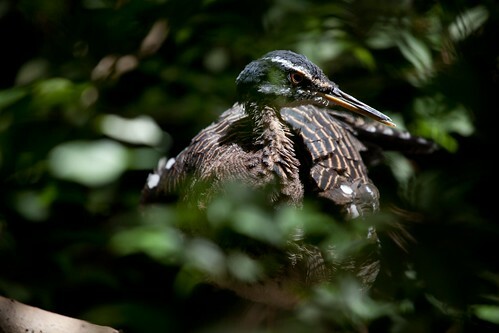 The sunbittern can spread its wings to display large red, yellow and black spots, which can scare away predators, who mistake the markings for eyes. 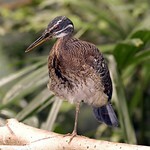 The sunbittern can be found from southern Mexico to Bolivia and Brazil. Common. 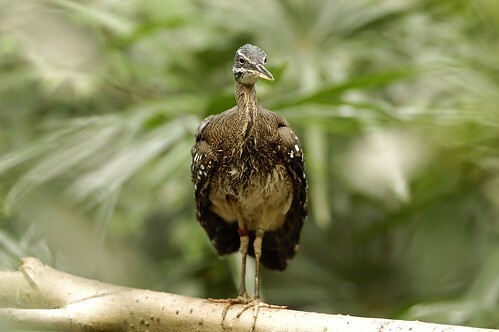 Lincoln Park Zoo participates in the Sunbittern Species Survival Plan®, a shared management effort by zoos throughout the Association of Zoos and Aquariums. 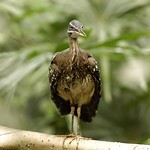 This species often inhabits forested creeks and streams. 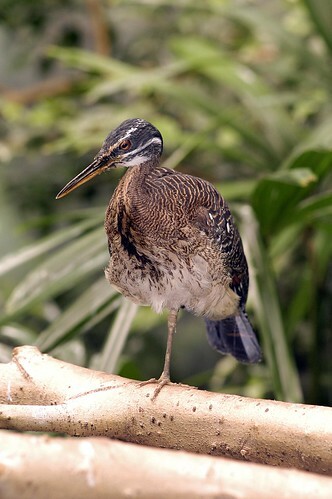 The sunbittern uses its long, pointed beak to spear the fish that make up its diet. 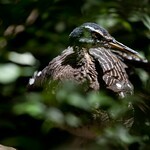 The brightly colored patterns on the sunbittern's wings can also be used to attract mates or drive away rivals. 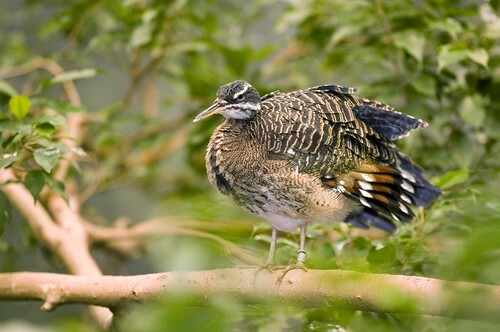 Sunbitterns make their nests from sticks, mud and leaves, and both parents cooperate in rearing their young.